TenPenh, Passion Food Hospitality’s former Pan Asian restaurant at 10 and Penn NW, will be reincarnated later this month in Tysons Corner. 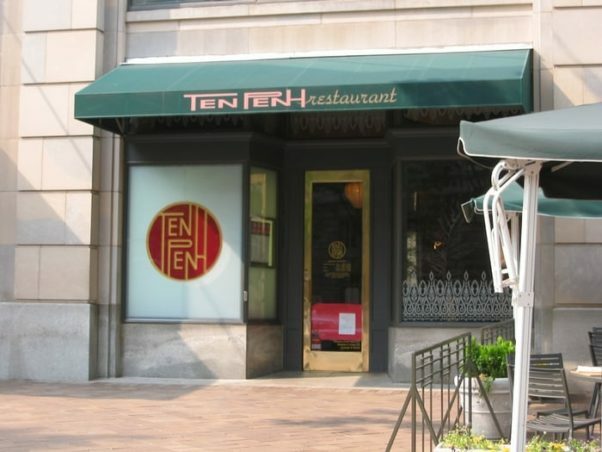 TenPenh opened at 1001 Pennsylvania Ave. NW at in 2000 and served Asian fusion until it closed in 2011 after its owners couldn’t reach a deal with the landlord to renew their lease. The restaurant will be reborn Nov. 28 in the Silverline Center, 7900 Westpark Dr., McLean. Co-owner Chef Jeff Tunks pulls inspiration from all over Asia for the menu with dumplings, pot stickers and noodles in various forms including Chinese hand-pulled and Japanese ramen, plus bibimbap and okonomiyaki, a savory Japanese pancake. Large, sharable items will include tea-roasted brisket, whole pig and Peking duck, which will be roasted eight at a time in a Chinese oven. For original TenPenh fans, Tunks and executive chef Miles Vaden will commemorate a dish or two in Tysons, maybe the Chinese-style smoked lobster with crispy spinach. The bar program will include a large inventory of Japanese whisky. Drinks will also include craft beer and sake from Japan and soju from Korea. The space will house various areas inspired by a Siheyuan Chinese inspired courtyard, including a Tea Room, Ambassadors Den and Jade Room. There will also be a sushi bar and fire pits outside. But some of the decor may look familiar, some of it was put in storage after the downtown location closed. 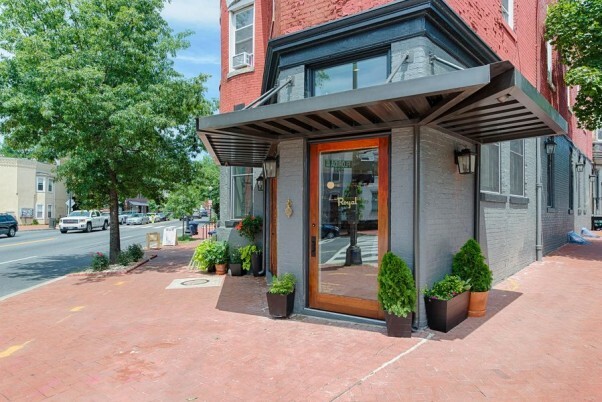 Bibiana Osteria-Enoteca, 1100 New York Ave. NW, is serving seasonal specials showcasing black and white truffles this month. 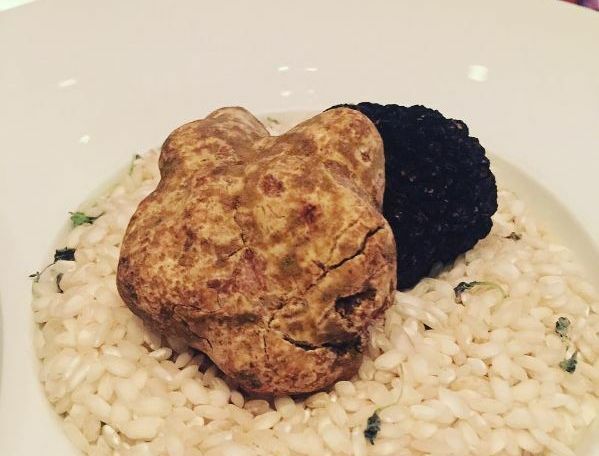 Bibiana Osteria-Enoteca is serving several dishes made with white and black truffles this month. Italian white truffles are very highly esteemed and are the most valuable on the market. The imported delicacies are only available in October and November. Executive chef Jake Addeo’s regional authentic Italian fare features a variety of antipasti, house-made pastas and entrees highlighting the white truffle. The dishes range in price from $45-$65 for black truffles and $85-$100 for white truffles. The rotating dishes include truffled potato bombolini; warm parmigiano reggiano soup with cauliflower confit and gnocco fritto; duck egg yolk ravioli with pear and castelmagno and a cacio pepe sauce; chestnut and porcini stuffed beef cheek with black garlic butter; and dark cherry mousse with amaretto truffles, chocolate air cake and truffled almond gelato. 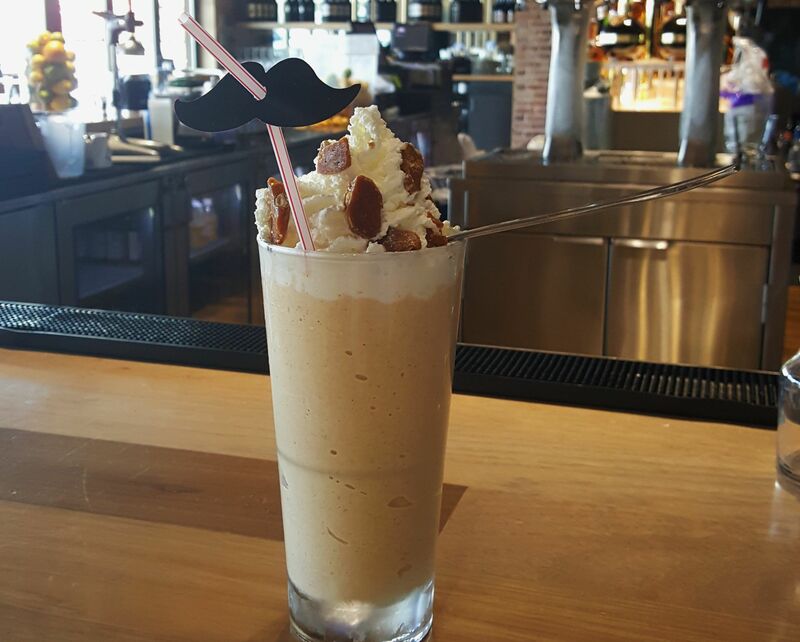 Zinburger Wine & Burger Bar, 6795 Springfield Mall, Springfield, Va., is featuring a Pumpkin ‘Stache Shake as part of the No Shave November, a month where men raise awareness of men’s health issues by growing a mustache. For every pumpkin shake sold, the restaurant will donate $1 to ZERO – The End of Prostate Cancer, a national nonprofit organization working to end prostate cancer. Also, diners can donate $1 to add a ‘stache straw to any shake or float. The Pumpkin ‘Stache Shake, priced at $6, combines vanilla bean ice cream with house-made pumpkin pie filling, topped with whipped cream and pumpkin brittle, and served with a mustache straw. 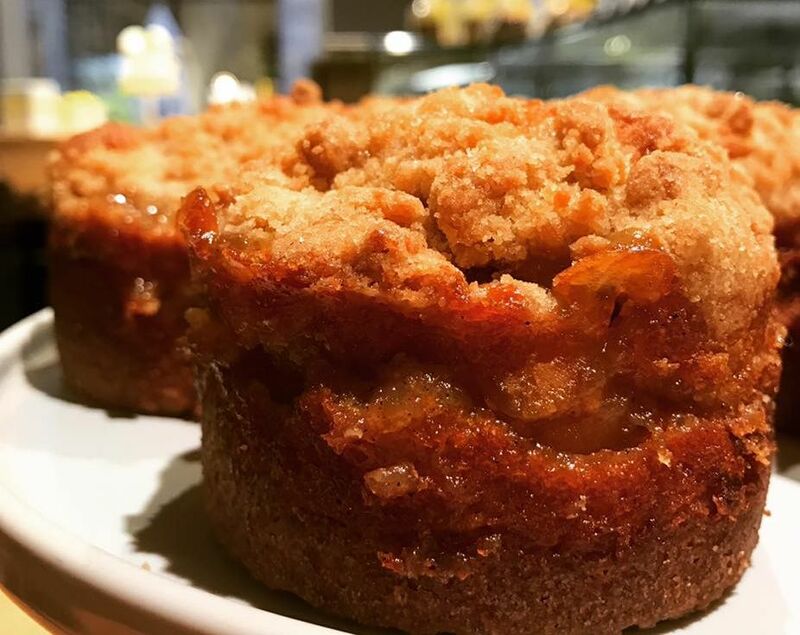 RareSweets, 963 Palmer Alley NW in CityCenterDC, has added has some seasonal sweets to its menu. New additions include chocolate and pear caramel mini cakes; mini pumpkin bundt cakes; pear cardamom coffee cake; fall apple spice cake; and a cranberry orange blossom cake, a vanilla cake with house-made cranberry compote and vanilla orange blossom icing. If you are planning an election viewing party, the bakery also has special edition election cookies. The elephant or donkey shaped shortbread cookies with royal icing are $3 each. A write-in ballot cookie with edible marker is $4 each. Texas Jack’s Barbecue, 2761 Washington Blvd., Arlington, has added seasonal cocktails to its bar menu featuring fall-inspired house-made syrups infused with fresh herbs, citrus, fruit and spicy peppers with agave for sweetening. The new drinks include the In The Lime Light with Dewars White Label, Velvet Falernum, fresh lime and ginger; the Ghost of Jack with Four Roses bourbon, creme de violette, fresh basil, and ginger; and the Pure Smoke Old Fashion with pellet wood-smoked Four Roses bourbon, Hellfire bitters and a lemon twist. 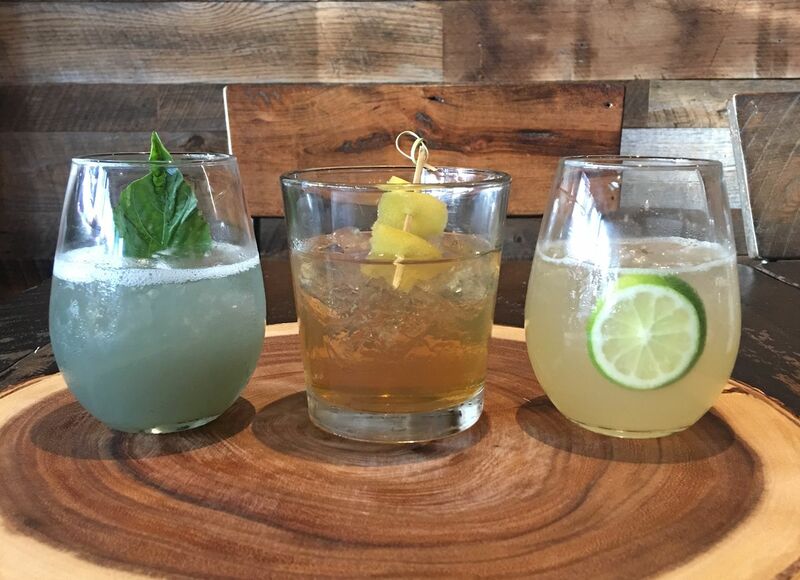 The cocktails range from $10-$13 each. Beginning Wednesday, Nov. 9, Astro Doughnuts & Fried Chicken, 1308 G St. NW and 7511 Leesburg Pike, Falls Church, will have special fall flavored doughnuts through the end of the month. 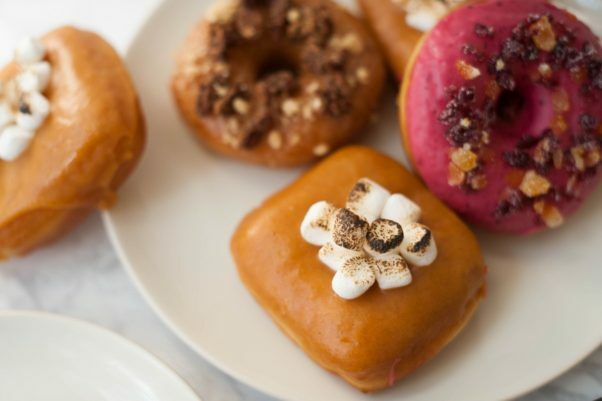 The seasonal flavors include sweet potato casserole, a square doughnut with sweet potato pastry cream filling, pumpkin spice glaze and toasted mini marshmallows for $3.10 each; bourbon pecan pie with bourbon butterscotch glaze, butterscotch drizzle, candied pecans and toasted pie crust crumble for $2.85 each; and cranberry orange with a cranberry orange glaze, diced dried cranberries and diced candied orange peels for $2.85. On the eve of election day, The Royal, 501 Florida Ave. NW, will host an election-themed Royal Knights from 8 p.m.-2 a.m. with guest bartender Chad Spangler of the just-opened Service Bar DC will serving $8 tongue-in-cheek cocktails and guest chef Kyle Bailey of Sixth Engine serving candidate- and border-inspired dishes. A $5 donation at the door will benefit the Environmental Defense Fund. Spangler has concocted 10 cocktails all priced at $8 made with Canadian and Mexican spirits, such as Still Waters Distillery’s Stalk & Barrel whiskies, Fernet-Vallet, Azunia tequilas and Neige ice ciders, plus unique ingredients and flavors such as mole, beef stock, saskatoon berries, ghost pepper and togarashi. The cocktails include the Right O! Fashioned with Stalk & Barrel Canadian Whisky, maple syrup and reduced beef stock; Mexico Will Pay for It with Azunia Reposado, mole, plantains, lemon juice, cinnamon and salt; the I Have the Best Drinks, My Drinks Are the Best, I Drink the Best Drinks with Stalk & Barrel Canadian Whiskey, Saskatoon berries, bitters and citrus; A Wall for My Hombres with Azunia Blanco and apple/ginger soda; the Best Health Car with Neige sparkling apple cider, pomegranate juice, ginger shrub and habanero; the No, You’re the Puppet with Azunia Reposado, blood orange, lime and togarashi; the Close the Borders with Stillwater Blue Canadian Whiskey, cherry brandy, Benedictine, Kirsch and Cocchi Americano; the $250,000 Speech with Stalk & Barrel Canadian Whiskey, apple and pear juice, and Neige sparkling apple cider; the Holy Mole Still Jumped Over the Wall with Fernet Vallet, creme de cacao, ghost pepper and Azunia Reposado; and NAFTA with Stalk & Barrel Red Canadian Whiskey, Fernet Vallet, orange bitters, lemon juice and grapefruit juice. There will also be $3 cans of 3 Stars Brewing Co.’s Nectar of the Bogs and #ultrafresh Double IPA. Bailey’s menu includes The Donald Trump with barbacoa bologna and Russian dressing on a white corn tortilla; The Hillary Clinton with poutine, BBQ unagi and tofu curds; and The Bernie Sanders, chicken fingers with béarnaise dipping sauce. All dishes are $8 and available until 11 p.m.
James Martin, formerly executive chef at Restaurant Nora and owner of the District Supper pop-up that failed to become a brick-and-mortar restaurant has been named executive chef of the forthcoming Pampolna from Social Restaurant Group at 3100 Clarendon Blvd., Arlington. The restaurant is scheduled to open later this month. Martin began his cooking career at Vidalia under then chef R.J. Cooper. He then moved to Chicago where he worked at North Pond Restaurant. He returned to the DMV as chef de partie at Michael Mina’s Bourbon Steak in the Four Seasons Hotel before moving to Jean Georges in New York City before returning as executive chef at The Wine Kitchen in Frederick and chef de cuisine at Bistro Bis. Dishes on the menu tentatively include butternut squash and black truffle churros, olive oil honey ice cream with Serrano ham], blistered Padrón peppers and chickpea frites. There will also be classics, such as gambas al ajillo and papas bravas, as well as a variety of paellas using calasparra rice as a base for a vegetarian wild mushroom and butternut squash paella, a savory chorizo and rabbit paella, a squid ink paella and a seafood paella with shrimp, calamari, mussels and cockles. Heartier options will include rabbit leg with manchego potato gnocchi, artichokes, saffron pumpkin puree and rabbit jus; and trout navarra with roasted potatoes, green beans, Serrano ham and sherry aioli. Angel Roque, a native of Havana, is the new executive chef at Cuba Libre Restaurant & Rum Bar, 801 Ninth St. NW. Roque began his culinary career as a courier, delivering mail for the Asociación Culinaria de Cuba to restaurants and cafes across the city. Four months later, he began studying in the institution’s school of hospitality and tourism Escuela de Hoteleria y Turismo Sergio Perez, where he was first in his class and was offered a job as a professor of pastry. He taught for nine years before renting a private restaurant in Havana with two friends where he cooked Italian food, mainly pizza and pasta later transitioning the menu to French and Spanish cuisine with a few traditional Cuban dishes. In 2008, he became executive chef at Restaurante Café del Oriente in Havana. During his six-year tenure there, he cooked for former President Jimmy Carter, United Nations Secretary General Ban Ki-moon, Cuban President Raul Castro and others. In 2010, Roque met Cuba Libre’s chef-partner Guillermo Pernot during one of his culinary trips to the island. A year later, Roque opened his own restaurant, Ajiaco, in Havana. He visited the U.S. for the first time in 2012 and fell in love with its expansive and diverse the restaurant industry. 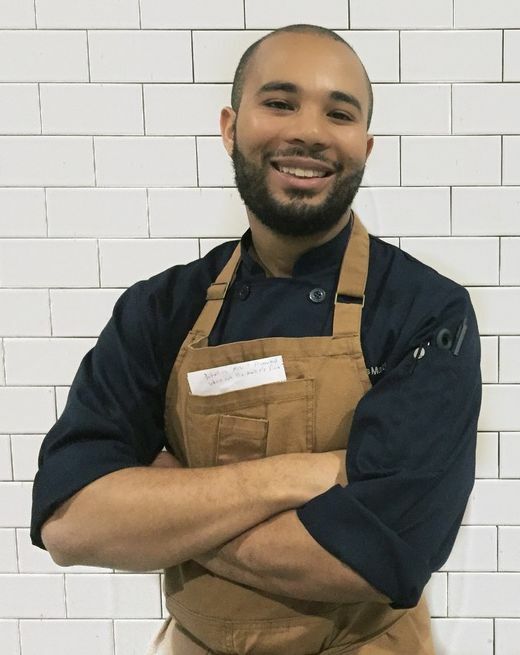 In January 2015, Roque became sous chef at Cuba Libre in Philadelphia before moving to the District in September. Freddie Bitsoie is the first Native American chef at the Mitistam Café. 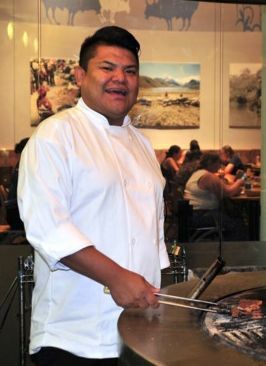 Chef Freddie Bitsoie is the new executive chef at Mitistam Café, the restaurant in the National Museum of the American Indian, Fourth Street and Independence Avenue SW.
Bitsoie, a Navajo chef, is the café’s first Native American chef, replacing Jerome Grant, who moved over to the National Museum of African American History and Culture’s Sweet Home Café. 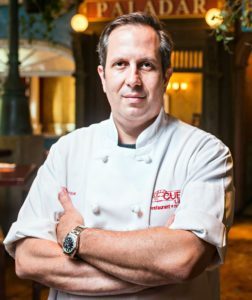 He grew up in Utah and Arizona and most recently served as the executive chef of the Fire Rock Casino in Church Rock, N.M. He has spent his career studying and educating people about Native foods and indigenous ingredients. Bitsoie plans to let ingredients like corn, wild rice, sunchokes and bison speak for themselves on his menu. One of the first new dishes on his menu is North Atlantic clam soup with leeks and sunchokes, which was the basis for New England clam chowder. He will add additional dishes over the new few weeks including roasted beets with seaweed, inspired by the Pacific Northwest, and a Mesoamerican bean soup with green chilies.